Hunt turkeys in both states. Four bird combo hunt. Hunt easterns in Kansas for two days, pack up and hunt merriams in Nebraska for two days.One day of travel between.Can harvest four birds. Hunt includes guide, food, and lodging. Hunt 16,000 acres in beautiful southeast Nebraska for merriams. Comfortable lodge and home-cooked meals ensure a great experience. 100% shot opportunity. Three day eastern turkey hunt includes lodging, guide, continental breakfast,packed lunch,and home-cooked dinners. Fully guided hunt on over 8,000 acres. Beautiful 5,000 sq. ft. lodge. 100% shot opportunity on easterns.Over-the-counter license. One bird between 4/18 and 4/24, two birds between 4/25 and 5/08. Includes Meals, Lodging, and Transportation. Hunt rios in Texas. Lodging,home-cooked morning and evening meals, pack lunch. No more than a handful of hunters per year. 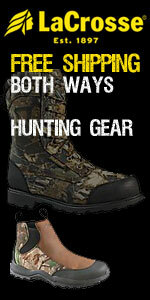 Hunt south east Ohio with top-notch outfitter for easterns. Price includes guide,meals, and lodging. Excellent hunt with limited openings.April 18th thru May 15. Hunt osceola gobblers in Florida with an experienced outfitter.Can be combined with trophy alligator (over 9 feet), wild boar, or whitetail. Includes full accommodations, and great southern cooking. 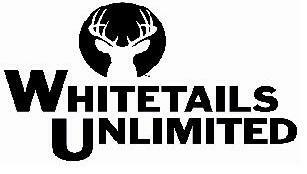 Hunt thousands of acres of prime Kansas habitat.Guided and unguided hunts available. Fully guided includes one guide per two hunters, lodging, and meals. Unguided hunts include guide showing the area to You then you’re on your own. Hunt merriams in the high country of north central New Mexico. Hunt includes food,wall tent lodging,and two birds.April 15 thru. May 10.Overthe- counter license. 2 1/2 Days of eastern turkey hunting. Food, lodging, and guide included. Copyright © 2008 Bullseye Outdoor Adventures, Inc.